Visit Kent chief executive Sandra Matthews-Marsh has officially been made a Member of The Order of the British Empire (MBE). 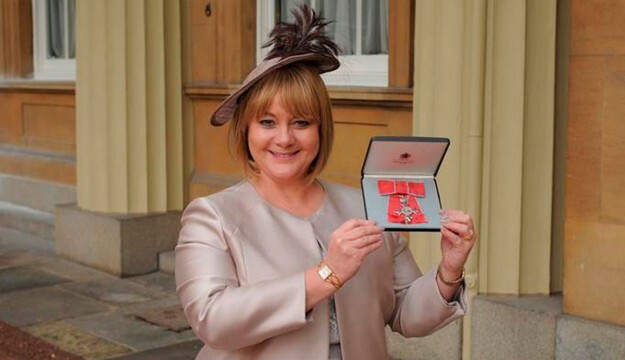 Sandra was awarded an MBE in the Queen’s Birthday Honours 2014 for services to tourism in Kent. She attended the official investiture ceremony at Buckingham Palace in February, and was presented with her MBE by Her Royal Highness The Princess Royal. “Tourism is a tremendous industry full of passionate, creative, can-do people who manage to retain their sense of humour and positivity however big the challenges. This honour is a wonderful reflection of the Visit Kent team and partnership, and strong recognition of the importance of tourism.